The Whale only managed one point out of three games this past weekend, but maintained a two-point lead over Bridgeport for first place in the Northeast Division. The Whale fell to Portland, 4-1, on Friday night at home, then dropped a 3-2 decision to the P-Bruins the following night in Hartford. Connecticut gathered one point in a 4-3 overtime road defeat to the Sound Tigers to close out the weekend Sunday. Kris Newbury and Jonathan Audy-Marchessault led the Whale offense with a goal and two assists each on the weekend. The Whale host three opponents in three days this weekend, starting with a date against the Wilkes-Barre/Scranton Penguins on Friday night at the XL Center (7:00 PM faceoff). The next night, the Adirondack Phantoms come to town for their final Northeast Division clash of the season with the Whale (7:00), and the Whale close out the weekend’s action on Sunday with another tilt against the Providence Bruins. That game faces off at a special time of 2:00 PM. The Connecticut Whale were defeated by the Providence Bruins, 3-2, Saturday night at the XL Center before a crowd of 5,794. Craig Cunningham had a goal and an assist and Josh Hennessy had two assists to lead the Bruins in scoring, with Zach Trotman providing the game-winner. Jonathan Audy-Marchessault and Kris Newbury both scored and had an assist for Connecticut, which lost its fourth straight game to the Bruins. The Portland Pirates, involved in a wild, multi-team chase for the final Eastern Conference playoff spots, parlayed goals from four different players and 29 saves from Peter Mannino into a 4-1 victory Friday over the Whale at the XL Center. The victory moved the Pirates (30-28-3-4) into a tie for 10th place with Worcester and Albany with 67 points, one behind Syracuse and Springfield, which each won Friday night and share the eighth and final playoff berth. Meanwhile, the Whale (33-22-5-5) saw their lead in the Northeast Division sliced to three points over the Bridgeport Sound Tigers, who lost 3-2 in a shootout at Springfield. The Whale had been 14-5-1-0 in their previous 20 games and were an AHL-best 19-6-2-4 at home, including the three wins over the Pirates. Connecticut Whale general manager Jim Schoenfeld announced today that the Whale has signed forward Steve Moses to an Amateur Tryout (ATO) agreement. Moses, a 5-9, 170-pound native of Leominster, MA, just completed a four-year Hockey East career at the University of New Hampshire. The 22-year-old Moses led the Wildcats in goals, and tied for second among Hockey East skaters, this season with 22, and also added 13 assists for 35 points, good for a tie for the Wildcats’ team leadership in that department. He also served 16 minutes in penalties. Over his four seasons in a UNH uniform, Moses totaled 47 goals and 51 assists for 98 points, along with 65 PIM, in 148 games. Large green letters on a bed sheet at the XL Center on Sunday read: Tommy 10 Terrific. For most of the season, Tommy Grant, who wears No. 10, has been part of the Connecticut Whale’s “energy line” with another second-year pro, center Kelsey Tessier, and rookie wing Scott Tanski. 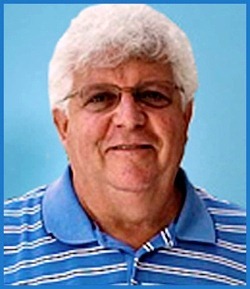 Whenever the Whale needed a lift, coach Ken Gernander didn’t hesitate to send out the gritty, inexperienced trio, as they’re all mature beyond their years. The Jeff Jacobs column that recently appeared in the Hartford Courant was an accurate representation of the significant financial and business challenges that Whalers Sports & Entertainment faces in operating the Connecticut Whale under the current XL Center lease terms. Some clarification needs to be added on our part, however, in terms of characterizing the working relationship between WSE and the AEG management of the XL Center. 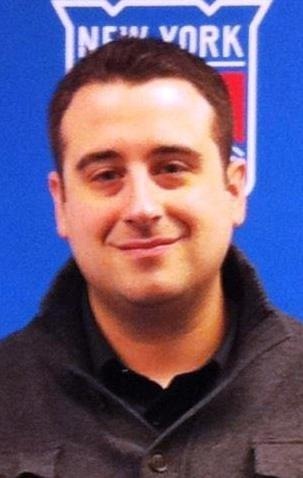 One thing that we did not do sufficiently in the course of our conversation with Jeff Jacobs was to emphasize that, while the financial terms of the XL Center lease agreement have been a significant burden to our business, the AEG staff have been excellent operational partners to work with. Everyone responsible for assisting us in putting on the Whale games has been consistently responsive to our day-to-day needs and has given a top-notch effort in helping us to ensure that our games remain the best in local sports entertainment, and that the fan experience at Whale home games is unmatched. Connecticut Whale general manager Jim Schoenfeld announced today that the team has signed forward Andrew Yogan and defenseman Peter Ceresnak to Amateur Tryout (ATO) agreements. 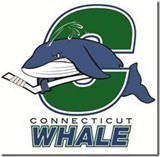 Whalers Sports & Entertainment (WSE) announced today a revised “Whale TV” telecast schedule for the Connecticut Whale. The dates of the three remaining live games on the five-game Whale television schedule, which is presented by Webster Bank, have been changed, and the telecasts have been moved to CPTV Sports. The Whale took four out of six points in three home games this past weekend, solidifying their lead in the Northeast Division with wins over the Bridgeport Sound Tigers and the Portland Pirates. The Whale began the weekend with a big 3-2 win over the Sound Tigers Friday, before a 3-0 setback against Springfield on Saturday. Connecticut closed their three-games-in-three-nights home slate with a 5-4 shootout triumph over the Pirates on Sunday afternoon, helping them to carry a four-point division lead into this week. Tommy Grant posted a four-point game on Sunday (2-2-4) and Jonathan Audy-Marchessault had a four-point weekend as well (2-2-4). Casey Wellman had three points in Friday’s win (1-2-3), while Cam Talbot Sunday won his first decision in goal since Feb. 18.